Situated near the beach, this guesthouse is 0.2 mi (0.3 km) from Penguin Undercover Market. Penguin Station is 8 minutes by foot. If you're heading to Penguin and looking for somewhere to stay, you'll have a small selection of hotels at your fingertips. Pick any of the 4 within 5 kilometres of the city centre. Wotif recommends checking out the Sunrise at Penguin and Penguin Waterfront Escape if you intend to stay next to all the hustle and bustle. To make sure your trip goes according to plan, stop by Penguin Tourist Information Centre to read the guides. Two suitable accommodation choices nearby include Glenbrook House and Cottage and The Madsen. 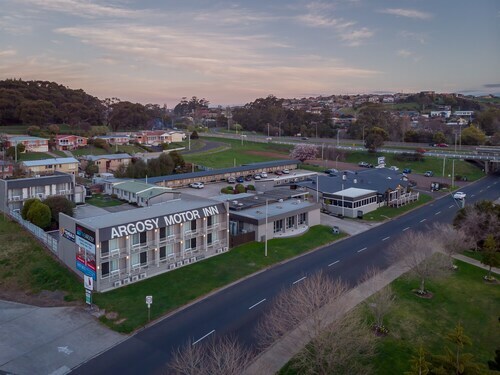 If you find yourself in need of more accommodation options in Penguin, consider the Ikon Hotel and the Bass & Flinders Motor Inn. They are 16 kilometres and 11 kilometres away from the center. Others include the Wellers Inn, 16 kilometres away, and the Best Western Murchison Lodge Motor Inn, 20 kilometres. The nearby cities of Havenview and Burnie are worth going to. Havenview is 13 kilometres to the northwest of Penguin, while Burnie is 16 kilometres to the northwest. 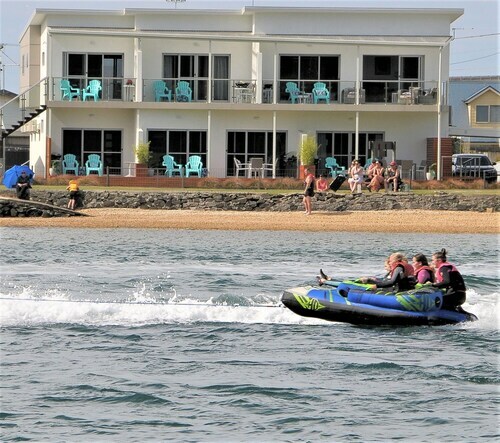 Accommodations in Havenview include the Comfort Hotel Townhouse Burnie and Hide-away Cottage Retreat. Burnie options are the Burnie Ocean View Motel and Holiday Caravan Park and The Duck House. Before you head home from Northwest Tasmania, ensure you catch some sport. Find Aurora Stadium to the east of Penguin. Stay near the action at the Quest Launceston Serviced Apartments or the Apartments at York Mansions. So what are you waiting for? Whether it's Penguin, or anywhere else on the planet, Wotif is ready to take you there. How Much is a Hotel Room in Penguin? 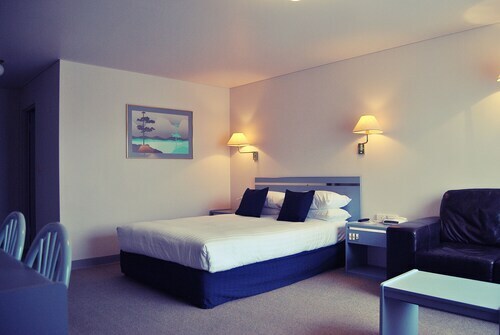 Hotels in Penguin start at AU$127 per night. Prices and availability subject to change. Additional terms may apply.